To Sum It Up: For his whole life, Nathan Byrn has faced increasing persecution from the Council of White Witches, ultimately leading to his imprisonment in a cage. Nathan is a Half Code, the son of a White Witch and a notorious Black Witch. Nathan’s prospects for escape are bleak, as the Council has taken every precaution imaginable to maintain its grip on the only possible leverage it may have against Nathan’s father, whom the Council is determined to kill. Review: Half Bad is not your run-of-the-mill witch book, not when the protagonist starts off the story by recounting how he wound up shackled inside a cage. It’s a story that I quickly became engrossed in and read in every spare moment I could find because the need to know what happened next was so strong. This is not a joke: my head nearly slumped forward onto the book a few nights as I attempted to fight off sleep in order to read a few more pages (I failed, by the way). The tone of Half Bad is quite dark. Our MC Nathan has been treated with horrible cruelty by the Council of White Witches, which claims to protect its own from the evil committed by Black Witches. Nathan’s late mother was a White Witch, but his father, Marcus, is the most dangerous and vile Black Witch, at least according to the Council. What the Council subjects Nathan to, and this is even before his imprisonment, is abhorrent. Nathan’s maternal grandmother, half-brother Arran, and half-sister Deborah care about him and do their best to protect him, but the Council is ruthless at pursuing its objectives. Nathan is a pawn, a means to a much bigger target, and totally expendable once he’s no longer useful to the Council. Nathan is a fascinating character. With the nonstop misery he’s experienced throughout his life courtesy of the Council, it’s no wonder he’s an angry, bitter young man. There’s also a part of him, though, that actively seeks trouble and keeps his smartass mouth running when he should have shut it a while ago. Then again, you can’t help but wonder how much of his character has been shaped by his circumstances and how much, if any, is a consequence of being his father’s son. Nathan cuts an intriguing figure, one who also wants to keep the Council and its lethal Hunters away from his family and who feels a genuine affection for his half-brother, Arran. Arran doesn’t see Nathan as a Half Code (the Council’s designation for a witch with only one White Witch for a parent) or a half-brother. Nathan is just his brother, and the relationship between the two is very touching. The novel’s writing style is a little different from the norm, as well as a little difficult to describe. The book opens in the second person, as though you, the reader, are in Nathan’s shoes. This doesn’t go on long, however, and then the book settles into Nathan’s first person point-of-view for good. His narration has a bit of a blunt feel to it, in that he’s a to-the-point kind of guy and doesn’t launch into a song and a dance with his descriptions. This works very well for the book and gives it a brisk pace that spurs you on reading. 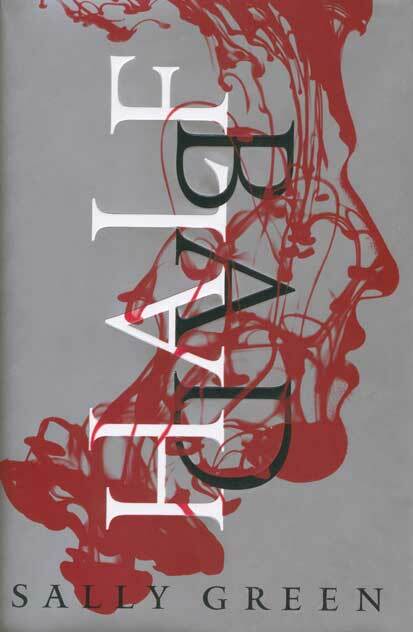 With its complex protagonist, quirky minor characters, and fresh take on witches, I enjoyed Half Bad a lot. The sequel is a must-buy for me, and I can’t wait to have it in my greedy hands. All in All: A very strong start to a promising new series. I’m extremely eager to see where the story heads next. I was thinking of how much you love books about witches as I was reading this, and I think you'd enjoy it. I will say that there isn't a lot of spell casting in this one, but I didn't find that it took anything away from the story because Nathan's struggles were so wholly absorbing. This sounds really good and I love reading with a male protagonist. It sounds fresh and different. I've added this one to my to-read list. Thank you so much for the great review! Jaclyn @ JC's Book Haven. The book really is different, from the story to Nathan's narrative voice. I hope you enjoy it! Oh this sounds pretty dark and intense! I'm not always in the mood for those kinds of reads, but when I am, I think I would enjoy this. Nathan's sarcastic side is appealing, and I'm sure it helps alleviate the darkness! I love the cover btw - so well done, and subtle! I love the cover design, too! The way that Nathan is treated by the Council does give the book quite a dark tone, but I don't think it's overwhelming, because I don't really go for relentlessly dark reads, either. I should've requested a copy when this went up in NG. Oh well... hey did you request Blue Lilly, Lily Blue? I've barely used my NG account and don't think I'd get approved. It's OK; time's been flying by so fast lately that the release date will be here before I can blink, lol.